These studies aim to teach you from Jesus' very own discipleship manual: The Sermon on the Mount. We live in a world where we long to be real - we long to be genuine. We want genuine relationships, genuine community and genuine success. That's the cry of our hearts - to be real in a world that is increasingly fake. These studies aim to show you how to be a genuine disciple, by exploring Jesus' very own discipleship manual: The Sermon on the Mount. In it, Jesus - the Master Teacher - shows us how we can be genuine disciples and experience genuine success. Suitable for young people of any age. We've been using these as a small study with a group of new christians aged 16+, so far it's been really good, especially the session on 'blessed is he...' we've all learnt something new, ourselves included as the leaders. Very good resource. Well planned and simple sessions which are easily adapted. Really enjoying using this with my 15+ group. 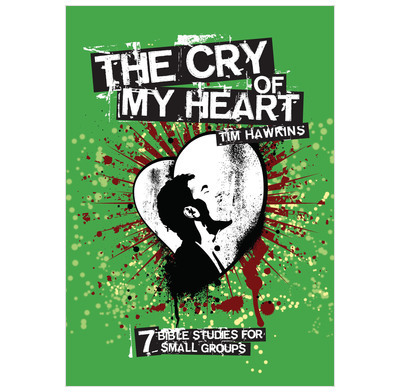 'The Cry of my Heart' bible studies are great at challenging teenagers about whether they're really living for Jesus Christ. The sessions are each well applied. My only slight concern is that the studies don't really take into consideration the sermon on the mount as whole, so it feels more like a series of themes. As a result some passages feel like they've been slightly squeezed to fit the theme when it's not really the main point. Even so it is a great resource and I continue to enjoy using these studies. We've been using this at our youth group for a few sessions now and have found it very useful. The sessions are really challenging and the extra infromation in the book is a great help when preparing. Our study group of 5 teenagers got a lot out of this study. Great for learning from the master teacher, Jesus, how to be a true follower - a well written study guide - highly recommend using alongside the book which is also excellent. A very helpful, biblically based study on sermon on the mount. It's honest and asks root questions rather than messing about with being vague! Well prepared material which is relevant for teenagers.